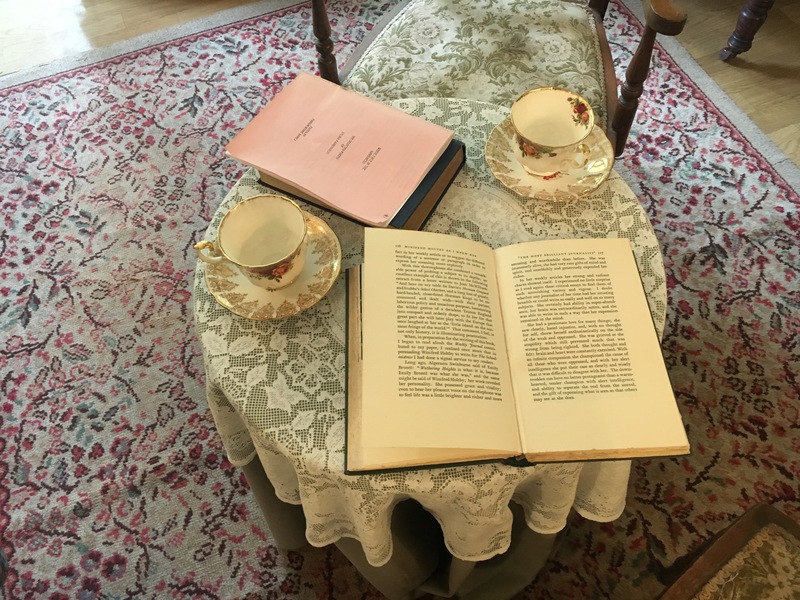 We were always big fans of Heritage Open Weekend in September – in the days before Son, Husband and I often went to London for the weekend and got to explore some incredible places open to the public only at this time. Amongst them we got to mooch around Westminster Hall, the office of the Chancellor of the Exchequer, the Bank of England and the Foreign and Commonwealth Office. A sad sign of the times, it is unlikely nowadays you could just queue up on a Saturday afternoon and spend an hour or so wandering around these places. 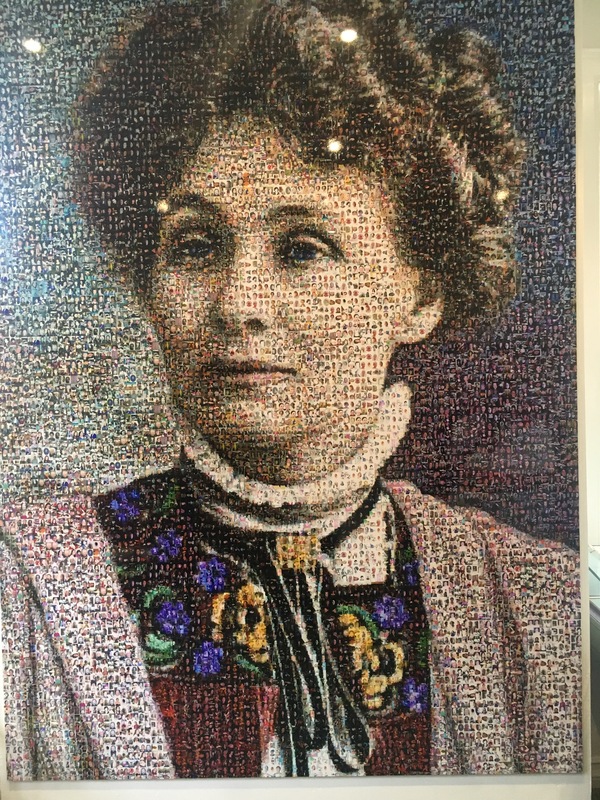 Heritage Weekend in Manchester this year had a limited list of places to visit but one that stood out to me was the Pankhurst Centre. Having just watched the movie Suffragette it was good timing. The centre was open on a Friday specially for Heritage Weekend. Staffed by volunteers normally it is only open a couple of Sundays each month and a few hours on Thursdays. Entrance is free but donations are welcome. 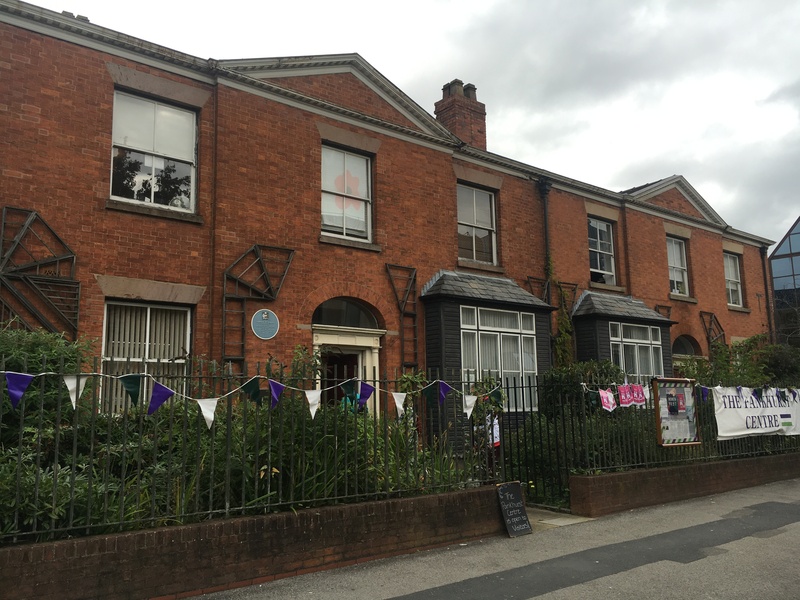 This fairly modest house – 62 Nelson Street in Manchester was the birthplace of the Suffragette Movement. 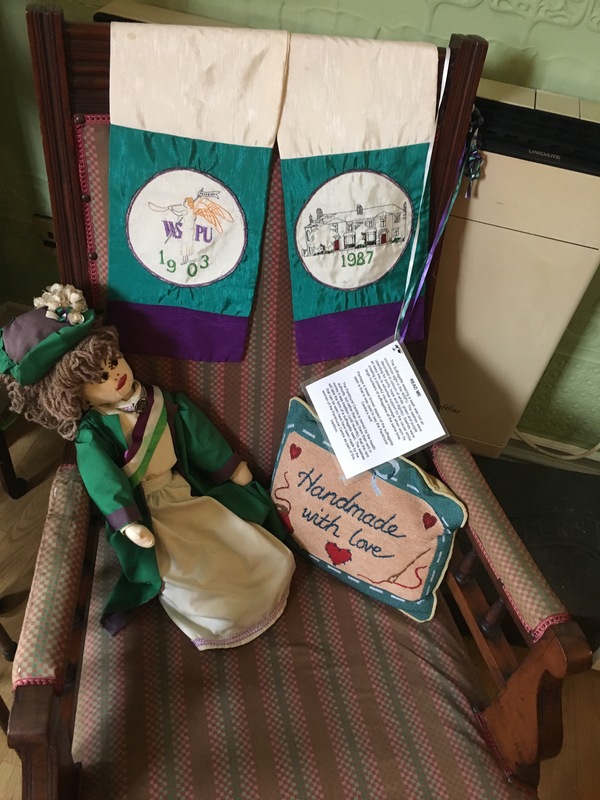 Emmeline Pankhurst and her daughters lived here and the very first meeting of the Women’s Social and Political Union was held in the parlour in 1903. The family moved to London afterwards to be at the centre of the campaign for women’s rights. We kind of struggled to find the house – slap bang in the middle of the Manchester Royal Infirmary buildings and right next to a multi-storey car park. Thankfully women’s groups and conservationists were up in arms about this, campaigned heavily against the application and managed to save the house. Now it is Grade II listed and doubles up as a little museum and women’s centre. The staff were lovely, very engaging and knowledgeable, we chatted for a while before entering the museum proper. There are only three rooms to explore, it is a bit of a work in progress but totally fascinating. Fund raising continues and they hope to extend the exhibition and eventually open more rooms. Not a contemporary museum with interactive bells and whistles but plenty to read and soak up. I thoroughly enjoyed it. 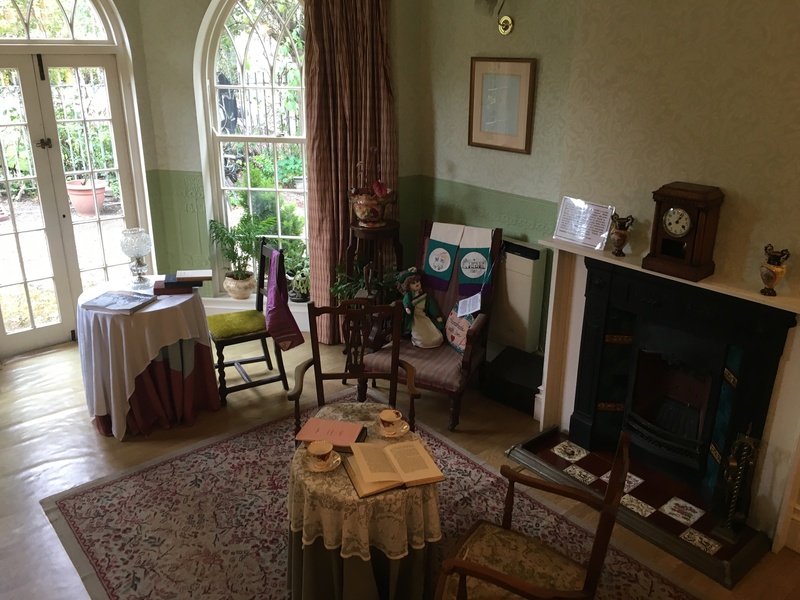 The first room had a film playing on loop about the Suffragettes, their cause and history. 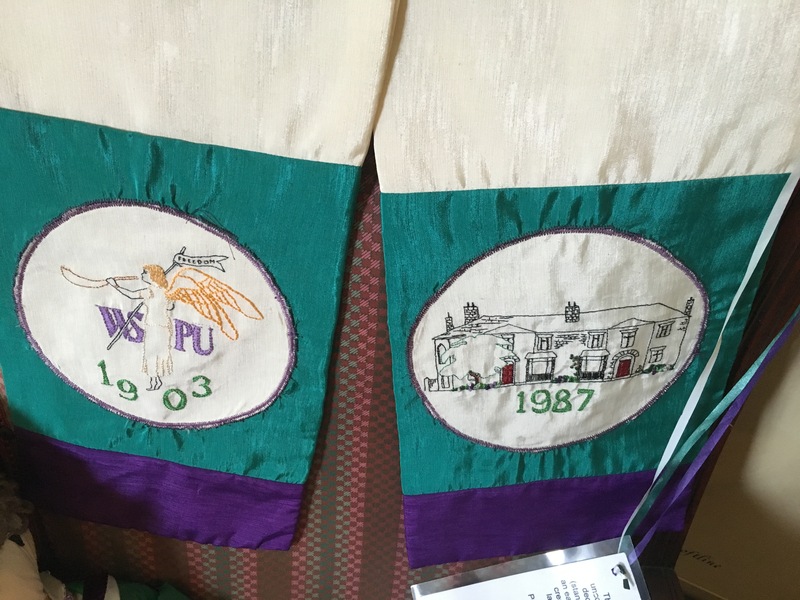 There was lots of information too on the various members of the Pankhurst family, their lives in Manchester and what became of them afterwards. 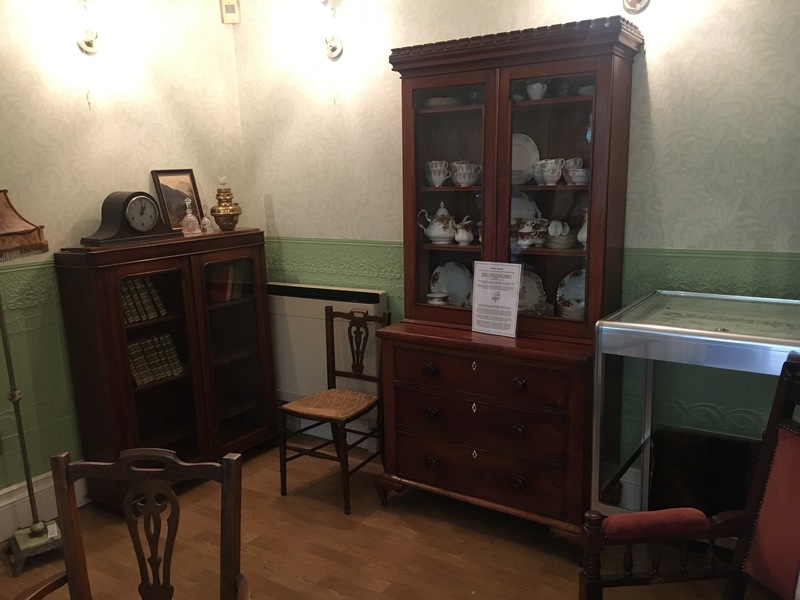 The parlour has Edwardian style furnishings and some of the Pankhurst belongings on display. 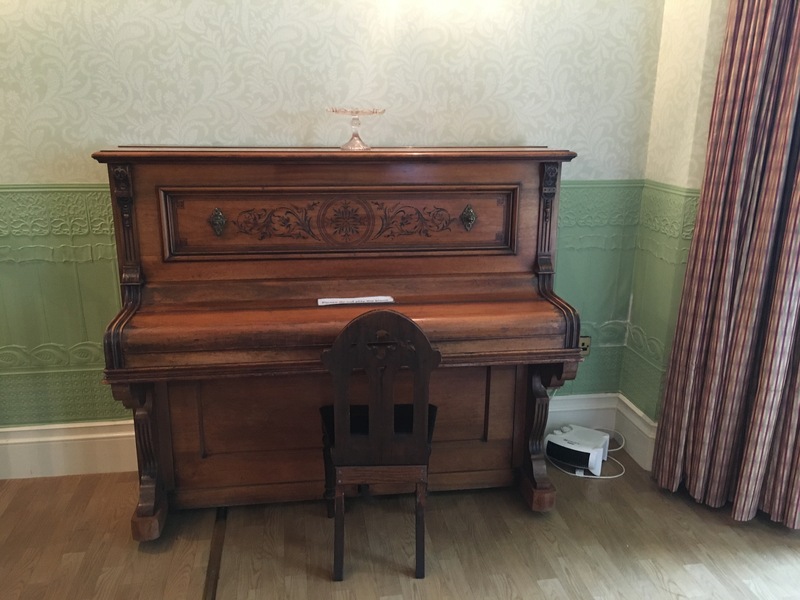 We saw Christabel’s piano and Sylvia’s typewriter. 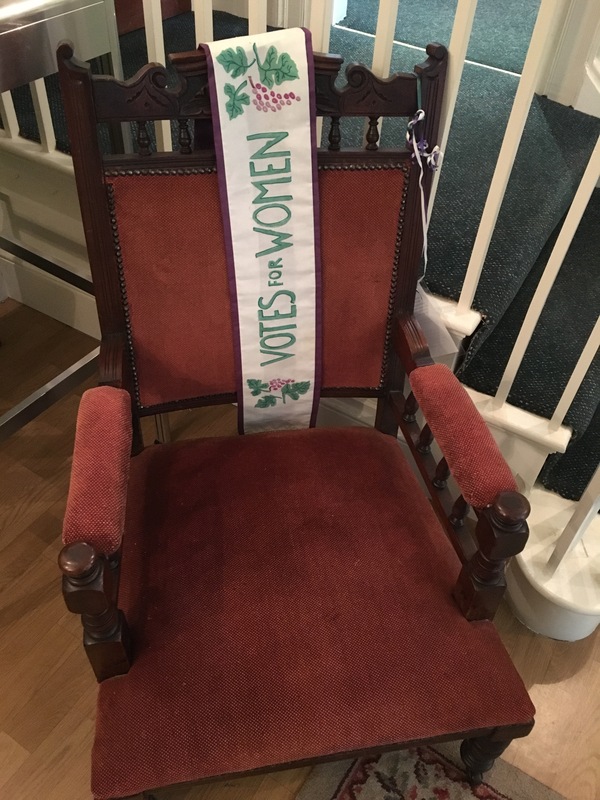 The purple and green sashes draped over the chair and the handstitched cushions help you imagine that first meeting taking place here all those years ago. The staff told us the museum struggles for funding, they have many treasures in storage including paintings which cannot currently be displayed. The building is also used as a women’s centre and is not secure enough to obtain insurance for these items. There are plans to develop the museum more in time for the centenary celebrations in 2018 – I hope they manage this. Husband and I both thoroughly enjoyed looking around, browsed in the little gift shop at the end and bought a few souvenirs including a nifty Votes For Women apron. It fits him rather nicely…. What a hidden gem to visit Joy. It looks so interesting and I just love those windows in the parlour. I haven’t seen the film yet but it’s on my list! The film is great Marion – I really enjoyed it, so it was quite fitting to come here afterwards really. I love those windows too – they are perfect, I would love a view onto the garden like that in my house! This looks like a fascinating place to visit – I hope they’re able to raise the funds to expand further. 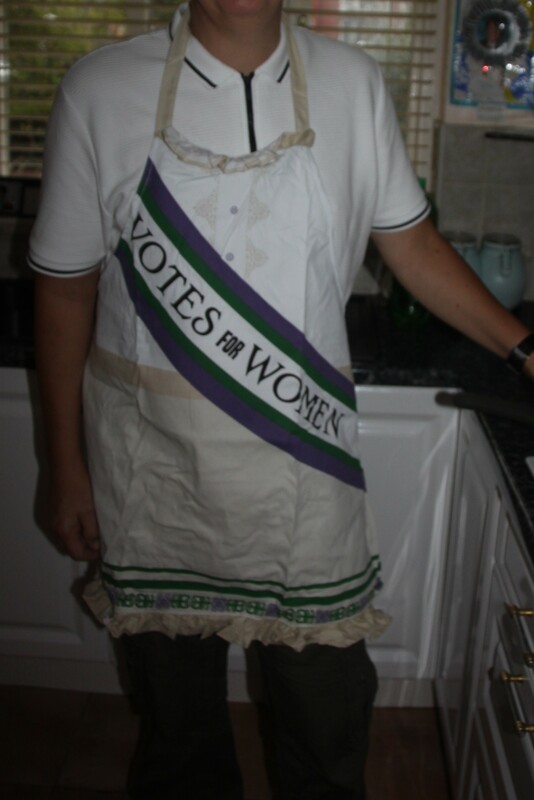 I still haven’t seen Suffragette, must get round to that some day. 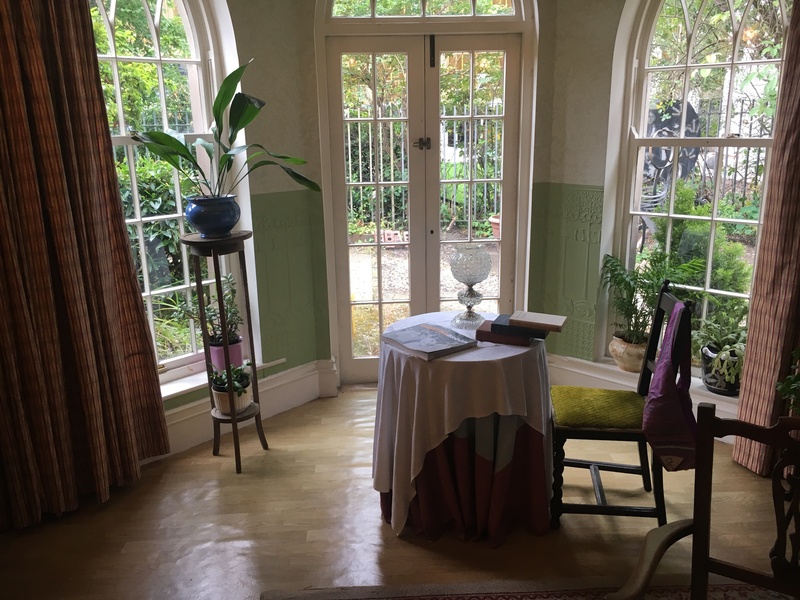 We had hoped to go down to London and see a few spots that were open as part of Open House, but it coincided with our moving date so we gave it a miss on this occasion. Next year, hopefully! The film is great – I enjoyed it and would definitely recommend. This is a great little museum, the kind of place you really do hope manages to raise more funding. Moving is all consuming but there is always next year!! This looks like a charming little museum. I hope they can continue their fundraising efforts. It really is – hardly bears thinking about that the house survived by the skin of its teeth and there isn’t a grotesque multi-storey car park there instead. It is a real labour of love for the volunteers who work here, I’m sure if anybody can raise the funds it will be them. It really was George, not far from where we live but I only stumbled upon it this year. Still, a great and very educational morning for us. You know, my husband and I watched the movie “Suffergete” about the English Suffergete movement, this time last year and loved it. It was our way of getting ready for the US presidential election. Of course at that time we still had hope and thought things would turn out much differently…. Yes, I see what you mean Robin!! Joy, this looks like a fascinating little gem! Hopefully they will raise the support in order to complete the museum! I hope so too Pam, this place is a real gem and such an important place to maintain and preserve. We chanced upon it but it was definitely a real gem. A good day out and lovely pictures! 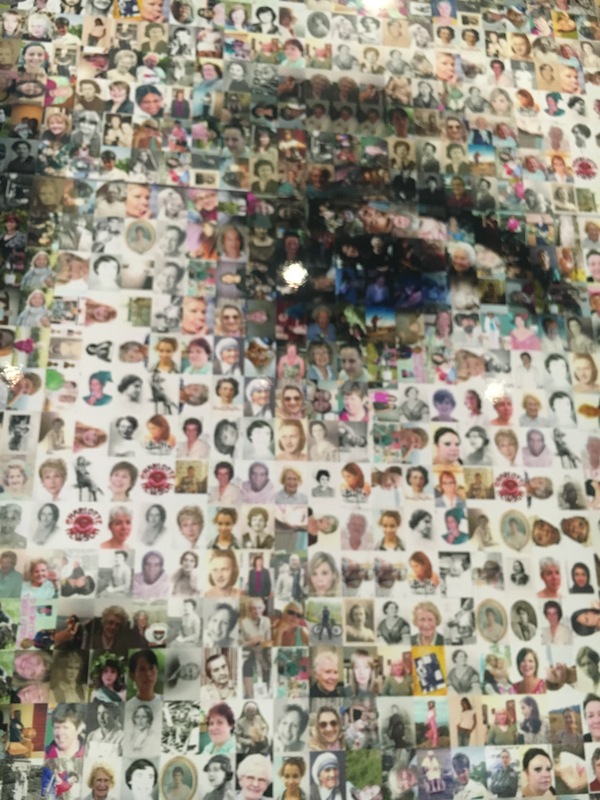 So interesting and a little bit quirky as well – just how I like my museums!! I have had this on my list for ages (in fact, I have a fairly substantial list of places I want to visit in Manchester or nearby and the only one I’ve managed is the People’s History Museum). So thank you, I really enjoyed that. We thoroughly enjoyed our morning here Anabel, I want to go back sometime and bring our son, hopefully you get to see it sometime soon. 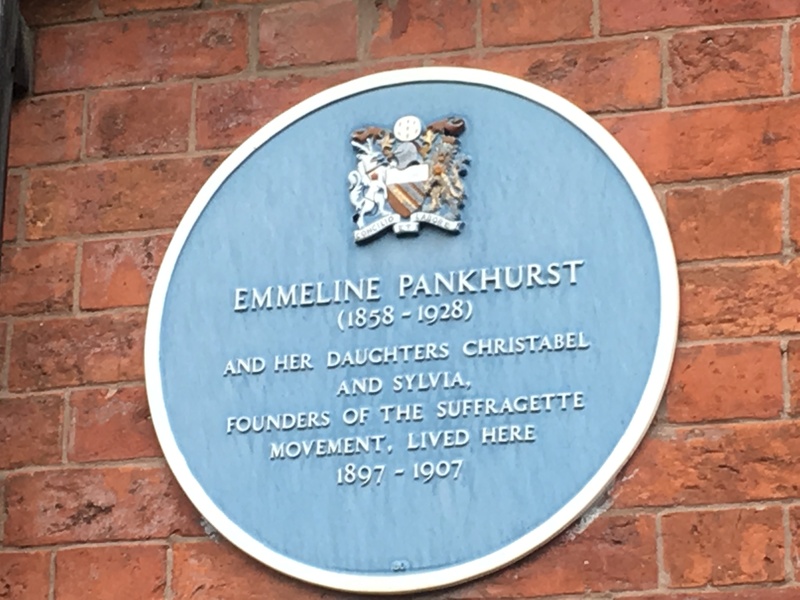 I hope they do eventually get to open more of the house, but it would still be neat to see some Pankhurst artefacts. I have been to Emmeline’s grave though – it’s in Brompton Cemetery in London. 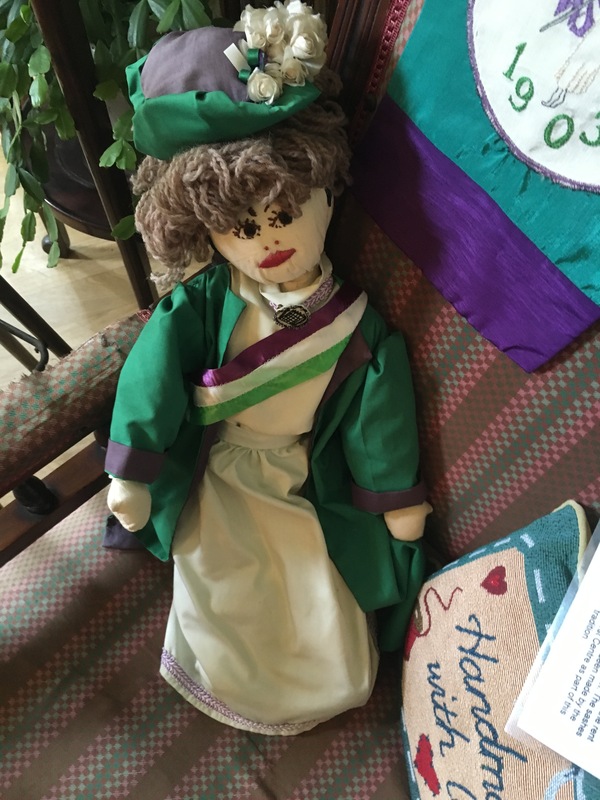 And I have to say that the suffragette doll’s face cracks me up. She’s quite charming! I know exactly what you mean about the doll – such a sweet face!! I found it fascinating here, Brompton Cemetery has long been on my list but never made it there yet – one day! Such an interesting place. Amazing how such a humble building houses such important history. I hope those who run it can secure the funding to develop and secure it for the future. It really is a fascinating place Helen, thank goodness it wasn’t demolished as planned and I hope more people get to hear about it and it goes from strength to strength. 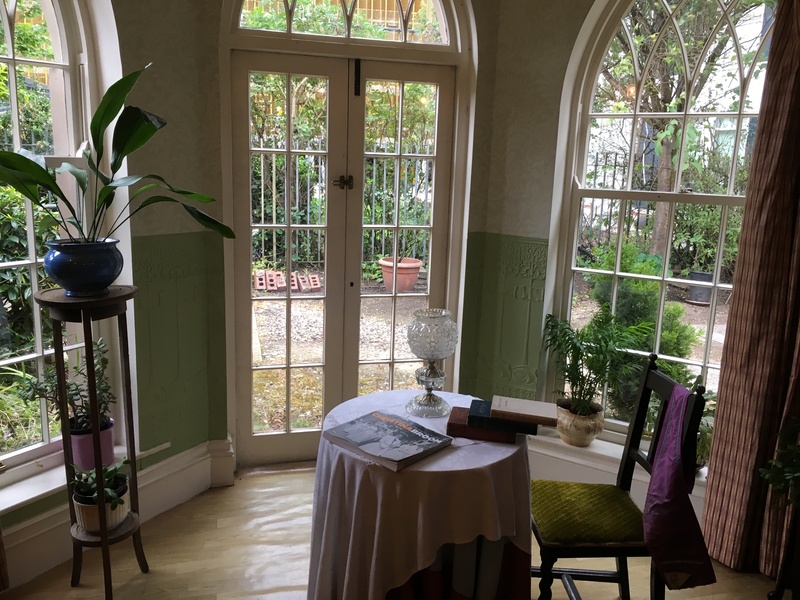 Absolutely Rosemary, it is such an interesting place and standing in that parlour imagining what went on there is very poignant. Oh I would love to take my girls to this! Important for them to see/know! Absolutely Corey – it is a fascinating but important place. I plan to take my son there – important for him to see and know too I think. It really was – a little known gem. I’ve passed this place a few times, but am yet to visit it. I’ll keep my eye out for when it’s next open and make a trip. We really enjoyed it – definitely worth a visit. A fascinating location. I can only admire the woman. Very, very determined. We owe her! Absolutely! So important to visit this place I think.